The newly revised and 3rd edition of The Teachings of Daoist Master Zhuang by Michael Saso has been released! Prof. Saso is one of the world's best known Daoist scholars and an initiated Daoist priest, who in the book describes his training as a disciple of Daoist master Zhuang Chen Dengyun in Taiwan. (the tail of the seven stars of the Big Dipper) in Daoism, pointing the gate of life. different from what can be found in all other books on Qi Men Dun Jia available so far. principles of Heaven and Dao. 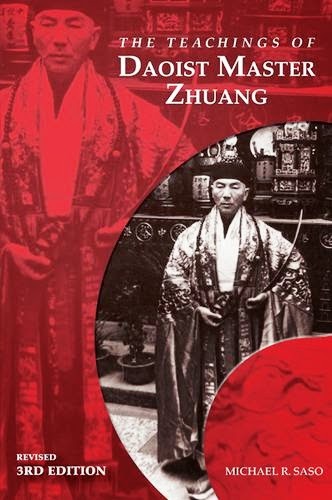 with Chinese metaphysics should read this book. It’s a real treasure!